Acid reflux is painful; there is no doubt about it. But did you also know that it could harm your oral health? Sometimes, in fact, we notice acid reflux before a patient even realizes they have it. This is because the acid that should be in your stomach, leaks back into the esophagus and eventually the mouth. This means that your teeth are at risk for being exposed to this acid. Just like the acids in your foods, it eventually harms your enamel, which means your teeth are worn down, putting you at risk for a multitude of oral health symptoms including tooth decay, bruxism, and even difficult chewing. If we notice enamel erosion strictly on your molars, we will often begin to ask about any symptoms of acid reflux that you may have. 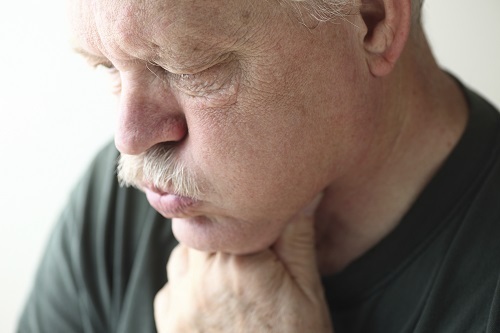 Acid reflux is a condition that occurs when the sphincter of your esophagus does not completely close. This sphincter is responsible for sealing stomach acid into the stomach, but when it does not properly close, that acid can leak back into your chest and eventually your mouth. It can cause a variety of symptoms including pain in the chest, bloating, chronic cough, chronic sore or dry throat, and nausea. Each of these causes can increase your likelihood of obtaining acid reflux; they are also bad habits for your oral health as each of them can cause your enamel to weaken, putting you at risk for tooth decay or gum disease. • Drink plenty of water - This will help to wash the acid away from your teeth, helping to protect your enamel. Water is a better choice to consume when you have acid reflux as it is, as most other drinks contain acid that make your reflux worse. • Make your meals lighter - Rather than consuming 3 large meals a day, try to cut it down to 5 smaller meals. Consider each meal a large snack, consuming fruits, vegetables, and lean proteins at each occurrence. This helps to keep the acids in your stomach at a minimum. • Manage your weight - Make sure to create a proper exercise routine and watch your caloric intake as the more overweight you are, the higher risk you have for acid reflux. • Do not eat before bed - Try to make your last meal or snack at least 3 hours before bedtime to give your body time to digest. If you think you have acid reflux, call us today for an appointment so that we can evaluate the state of your mouth as a result of the illness.